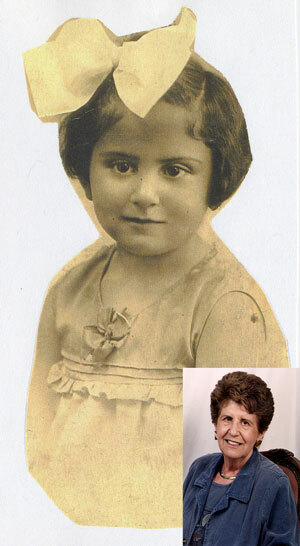 Holocaust survivor Rena Finder will share her harrowing story of survival on Thursday, March 22 at the Sheraton Nassau Beach Resort. Hundreds are expected to turn out Thursday evening for the personal re-telling of the story of On Schindler’s List, an event organisers said was so momentous for The Bahamas that corporate sponsors covered all expenses, allowing the public to attend without charge. Those sponsors include Aetos Holdings Ltd, Atlantis, Banque Privee Edmond de Rothschild Ltd., Bank of The Bahamas (BOB), Colina, DP&A and ICD. The program begins with the screening of the 7-time Academy Award winning film “Schindler’s List” at 2:15 pm, March 22. Seating for the evening event when Mrs. Finder speaks and shares her poignant, personal memories begins at 6 pm with the program starting promptly at 6:30. The movie, an exhibit of photos and the program will be held at the Sheraton Nassau Beach Resort. Ms. Finder will share her personal story with the Governor General and Lady Foulkes, the Rev. Patrick Paul, President of the Bahamas Christian Council and other religious, business and civic leaders as well as with many families. Seating at this rare opportunity to step back into history with one of the last survivors saved by Oskar Schindler is limited. Guests are encouraged to arrive early. For more information, telephone DP&A at 394-0677.